The design has no sharp edges. It has thick polished curved design ensemble. Comfortable wear. Raksha Bandhan- A festival that celebrates the love and duty between brothers and sisters; the festival is also popularly used to celebrate any brother-sister like relationship between men and women who are relatives or biologically unrelated. 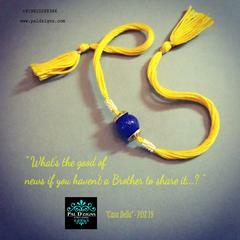 The Rakhi means "the tie or knot of protection". 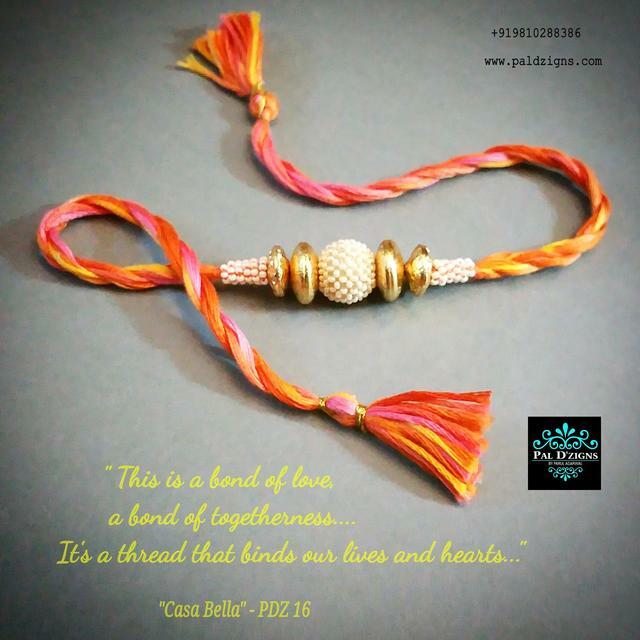 Pal D'zigns understand the Sister's bond, love expressed by her and wishes for the well being of her brother. We have designed Casa- Bella rakhis with love and affection. 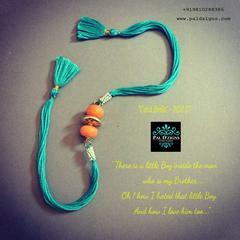 We have made each and every piece with utmost care using beautiful and vibrant colours which keeps the happiness alive. 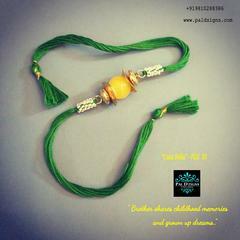 Pal D'zigns Rakhi comes in a nice packing with a personalies note written for Brother. 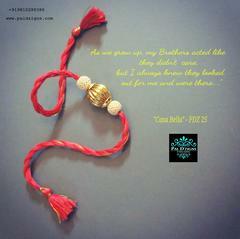 We have used semi precious stones, silver, German silver, imitation polkis and kundan along with soft anchor threads. No sharp edges in any Design or sub standard material used. 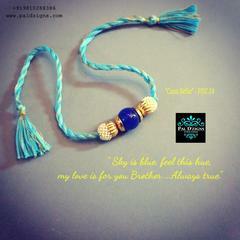 All rakhis can be worn comfortably and are designed for practical use. 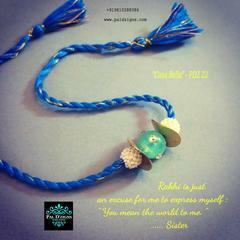 These rakhis can be converted in jewellery and can also used as ensembles.